Cast iron weld repairs are some of the most difficult weld repairs. The high level of carbon in cast iron (2-4%) can be converted to graphite during welding, which can cause cracking. To avoid this, 99% nickel consumables such as AI-1799-CI are used, and temperature control with maximum temperature of 780ºC and slow cooling is required. When welding without pre-heat, the casting must never get warmer than 50ºC. AI-1755CI is a 55% nickel/45% iron which is suitable for cast iron repairs which do not require machining. AI-0412G-TDS AWS/ASME A 5.15 : ENi-CI AI-0412G is a pure nickel cored electrode with basic coating, for joining and repairing of castings of all grades and when a machinable deposit is required. Nickel, being a poor conductor of electricity results in an unstable arc. To overcome this, AI-0412G has a specially formulated with a carbon rod to facilitate the conduction of the current, therefore enabling a stable arc. This makes this electrode outstanding welding performance on all cast irons. AI-0412G can also be used for welding heterogeneous assemblies between cast iron and steel and welding thin sections. AI-0412G has excellent weldability with soft arc, easy strike - restrike characteristics and easy slag removal. 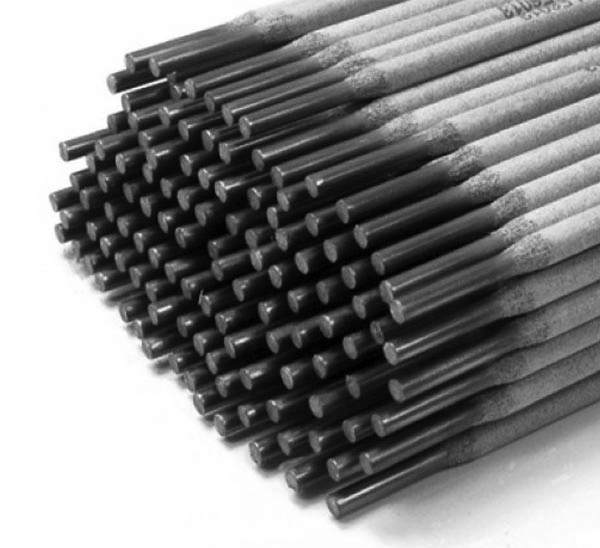 ISO R1071: E-Ni Fe- G22 A nickel iron electrode designed for maintenance welding and repair of all types of cast iron especially special irons, eg: nodular irons and high phosphorous irons. Also provides excellent high strength welds on restrained or thick joints between the above irons and steel. AI-0420 is a superior alloy for use on dirty or contaminated surfaces. Deposit is free from porosity and cracks. AI-0440-TDS DIN 8573 : E FeCG13 Basic coated electrode for hot welding of nodular cast iron. AI-0440 is also suitable for welding malleable black heart cast iron, as well as common grey cast iron, provided heat treatment is applied. An excellent alloy for sealing of dirty or contaminated cast iron prior to joining using AI-0412, AI-0420 or AI-0435. ISO R1071: E-Ni Fe- BG-23 AI-0460 is a nickel iron electrode with a copper flashed core wire designed for improved current transfer and subsequent lower amperages. It can be used for maintenance welding and repair of most types of cast iron particularly malleable, nodular and phosphorous (P >0.20%) irons. AI-0460 exhibits excellent welding characteristics for out of position welding in both DC and AC mode. AI-1744-TDS AI-1744 is a newly developed gas shielded, alloy cored wire designed specifically to allow 100% joint efficiency in common grades of ductile iron, high strength cast irons and for joining these alloys to cast and mild steels. 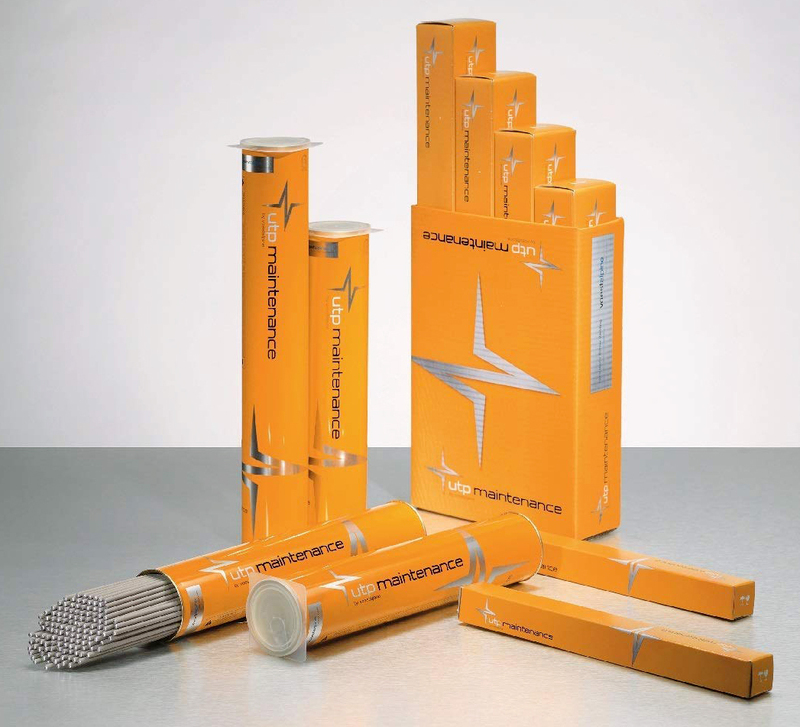 AI-1744 uses a metallurgically unique, nickel-iron-manganese system that provides both outstanding strength and ductility. The addition of manganese allows the reduction of carbon while still providing low residual shrinkage stresses. AI-1744 is an alloy-cored wire designed for automatic and semi-automatic welding of grey, ductile and malleable irons at high deposition rates. The wire may be used in spray transfer, short arc or pulsed MIG welding. DC Reverse Polarity is used with Argon + 2% Oxygen as the recommended shielding gas. Applications: AI-1744 is used for welding of cast irons to themselves and other materials, for repairing worn or broken parts and for salvaging defective castings where highest mechanical strength is required. AI-1744 offers high quality weldments and can be used with all robotic, automatic and semi-automatic processes. AI-1744 provides the wetting and crack-resistant weldability that allows steel forgings and castings to be redesigned in less expensive ductile iron and still be automatically welded. Typical production line applications include drive shafts, hydraulic and pneumatic cylinders, conveyor rolls, self-anchoring joints etc. Maintenance applications include roll rebuilding, pump casing repairs, crack repair, casting defect repair etc. ISO S C NiFe-CI AI-1755CI is a newly developed gas shielded solid MIG wire offering high speed; high quality welds with either manual, semi-automatic or fully automatic processes. The alloy is designed specifically to allow 100% joint efficiency in common grades of ductile iron, high strength cast irons and for joining these alloys to cast and mild steels. AI-1755CI is designed to weld in all positions and deposition rates as high as 8kg per hour and travel speeds of up to 1270mm per minute are possible. Pre- and post-weld heat treatments are not usually required but may be advantageous for heavy section, fully restrained joints in low ductility castings. Applications: AI 1755CI is used for welding of cast irons to themselves and other materials, for repairing worn or broken parts and for salvaging defective castings where highest mechanical strength is required. AI 1755CI offers high quality weldments made with 1.2mm and 1.6mm diameter wires. It can be used with all robotic, automatic and semi-automatic processes. AI 1755CI provides the wetting and crack-resistant weldability that allows steel forgings and castings to be redesigned in less expensive ductile iron and still be automatically welded. Typical production line applications include drive shafts, hydraulic and pneumatic cylinders, conveyor rolls, self-anchoring joints etc. Maintenance applications include roll rebuilding, crack repair, casting defect repair etc. AI-1765-TDS AI-1765 is a solid MIG wire for the build-up, overlay or joining of cast iron. It can be used on ductile, nodular, grey and Ni-resist irons and for joining these alloys to cast and mild or stainless steels. The unique chemistry of AI-1765 provides weld deposits that are fully machinable with a single pass. Under normal circumstances, if dilution is kept to a minimum, there is no undercutting and weld deposits can be machined through the fusion zone, even with high-speed steel tooling. Applications: AI-1765 should be applied in stringer beads with only a slight side-to-side oscillating motion. All craters must be back filled. Optimum bead contour is slightly convex. Peening will help to relieve stresses.